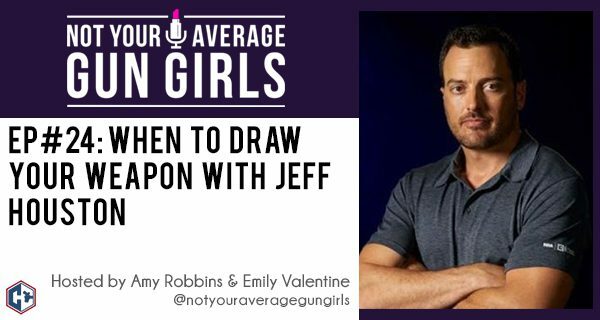 This week, Amy and Emily talk with former Green Beret and NRA Carry Guard instructor, Jeff Houston about when it is the appropriate time to draw your weapon. Jeff draws on his Army Special Forces experience to discuss various scenarios while keeping in mind levels of escalation and distance before drawing a weapon. Jeff also discusses scenarios where situational awareness and avoidance could be the difference of making a life changing event. If you conceal carry and ever wondered about in what situations you would draw your weapon, then this episode is for you.